Corvette Racing has earned itself seven class wins at Le Mans in sixteen straight appearances, but the C7.R’s first win at the legendary endurance race has yet to come. The 83rd running of the 24 Hours of Le Mans is scheduled to take place on June 14-15, and you can bet Corvette Racing will be on the hunt for a class victory. 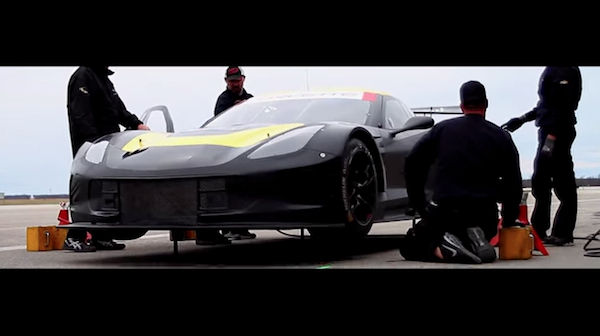 Last year, the Corvette Racing guys lost to the AF Corse Ferrari 458 Italia of Gianmaria Bruni, Giancarlo Fischella and Toni Villander, ending up second on the podium. The team lost valuable laps when their air jack system experienced a failure, but they still turned up second with an all-new car, an impressive performance to say the least. The video below was actually released by the team ahead of last year’s 24 Hours of Le Mans, but watching it still had us excited about this year’s race. Check it out below, and don’t forget you’ll be able to follow Corvette Racing’s progress at Le Sarthe at this link. I would be much more excited if they didn’t have so many restrictions against them. Corvette teams have already proven that restrictions or not, CORVETTE STILL WIN RACES….